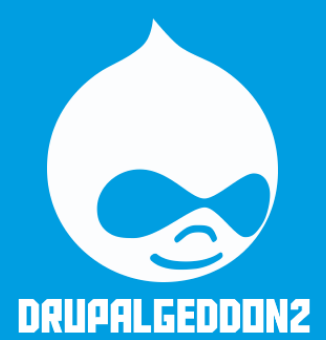 Drupal developers have released updates for versions 7 and 8 of the content management system (CMS) to address a new vulnerability related to the recently patched flaw known as Drupalgeddon2. The new vulnerability, tracked as CVE-2018-7602, has been described as a highly critical issue that can be exploited for remote code execution. The flaw has been patched with the release of versions 7.59, 8.4.8 and 8.5.3. Drupal website administrators who cannot immediately install the updates can apply a patch, but the patch only works if the fix for the original Drupalgeddon2 vulnerability (CVE-2018-7600) is present. If the previous patch was not installed, the website may already be compromised, Drupal developers warned. CVE-2018-7602 was discovered by members of the Drupal Security Team, which consists of 34 volunteers from around the world, along with Finland-based Drupal developer Jasper Mattsson, who also reported the original vulnerability. The new flaw was identified during an investigation into CVE-2018-7600. Drupal developers warn that similar to CVE-2018-7600, CVE-2018-7602 has also been exploited in the wild. Drupalgeddon2 was patched in late March and the first attacks were seen roughly two weeks later, shortly after technical details and a proof-of-concept (PoC) exploit were made public. While many of the exploitation attempts are designed to identify vulnerable systems, some cybercriminals have leveraged the flaw to deliver cryptocurrency miners, backdoors and other types of malware. Some experts believe the security hole may have been exploited to deliver ransomware to the website of the Ukrainian energy ministry. There are several groups exploiting Drupalgeddon2, including one that leverages a relatively large botnet named Muhstik, which is related to the old Tsunami botnet. The botnet has helped cybercriminals make a profit by delivering cryptocurrency miners such as XMRig and CGMiner, and by launching distributed denial-of-service (DDoS) attacks. Two security firms have independently confirmed that one of the Drupalgeddon2 campaigns delivering a Monero cryptocurrency miner is linked to a cybercriminal group that last year exploited a vulnerability in Oracle WebLogic Server (CVE-2017-10271) to infect systems with cryptocurrency malware. Drupal powers more than one million websites, including nine percent of the top 10,000 most popular websites running a known CMS, making it a tempting target for malicious actors.